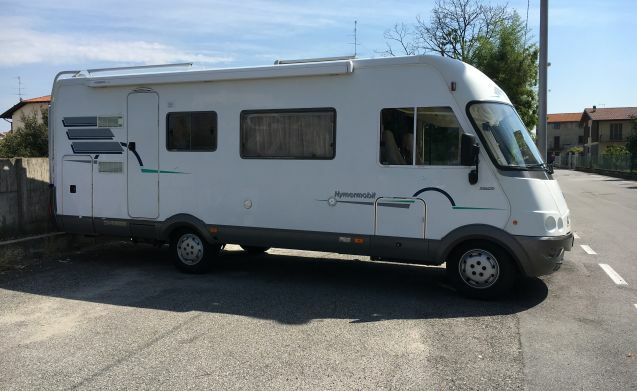 Beautiful Motorhome with 7 beds and 5 on the road. Ideal for families. 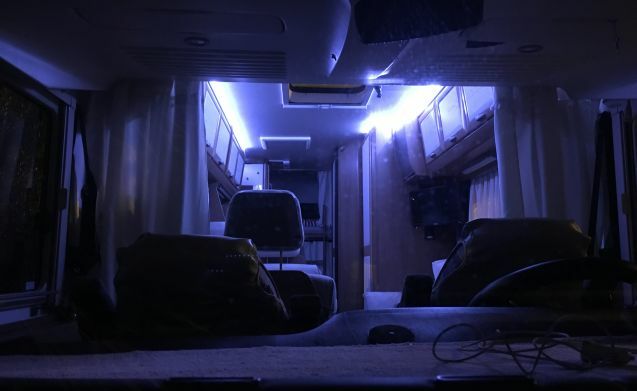 Equipped with awning, 4-seater bike rack, 8-seater table with benches plus 4 director's chairs, television and double dinette. 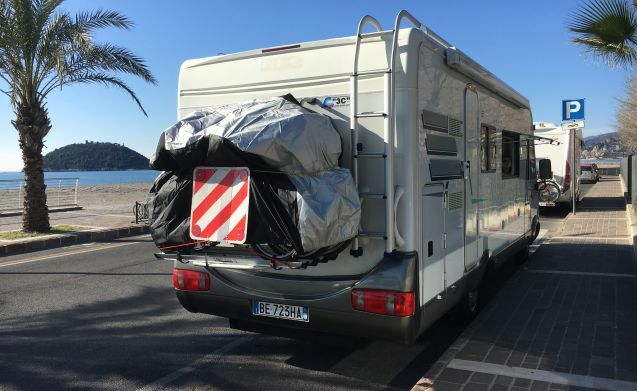 Tail bunk beds and double bed. 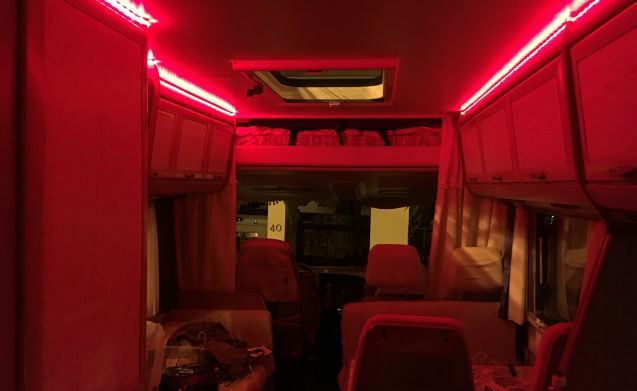 Led lights in the cabin with color change.